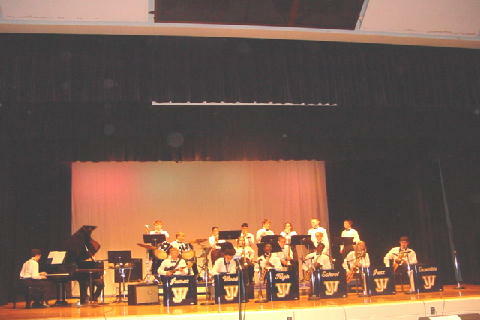 The jazz band classes meet during the "0" period. It is necessary to meet this way because if put into the regular school day, students do not have enough elective credits to fit jazz into their schedules. Having the schedule as it works the "0" period, allows not only one band, it allows two jazz ensembles to exist for students. This has allowed the jazz program to grow over the course of the past three years to its current level. THE JWHS Jazz Ensemble will meet on DAY 2 and the JWHS Jazz Lab Band will meet on DAY 1. The bands will be set up during the month of August and will begin rehearsal on the first day of school. The "0" period begins at 7:00 AM every morning. As in the past couple of years the JWHS Jazz Bands will host the District 14 Jazz Festival in January 2002. 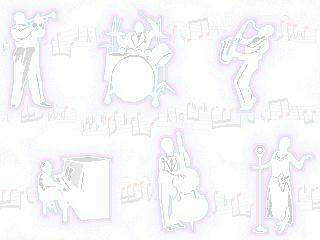 All jazz students are required to participate in the event as stage crews, helpers guide, etc. during the day long festival.